This website is part of the continuing efforts of the 100 Friends of Old Island Barns (The 100 Friends) and the Washington Trust for Historic Preservation (The Trust) to identify, record, register, and preserve the historic barns of the San Juan Islands. In 2008, The 100 Friends, through The Trust, received a start-up grant from San Juan County’s Historic Preservation Fund for an inventory of the historic barns on all the ferry-served islands (Orcas, Lopez, San Juan, and Shaw). Since its implementation in the spring of 2009, we have identified some 120 historic barns, and surveyed or field verified over 100 of these, in addition to gathering information on almost a dozen more on the outer islands. These efforts were assisted through the generous donations of the San Juan Community Foundation and many individuals and volunteers. With the bulk of the fieldwork completed, we continue to gather information on these structures, in order to have a comprehensive set of data on the islands’ rich barn heritage. This website, funded in part through the San Juan County’s 2014 Historic Preservation Fund as well as generous donations, is an effort to share the information that we have gathered on the Historic Barns of the San Juan Islands. These efforts to preserve island barns were motivated in part by the Washington State Department of Archaeology and Historic Preservation (DAHP) Heritage Barn Initiative. 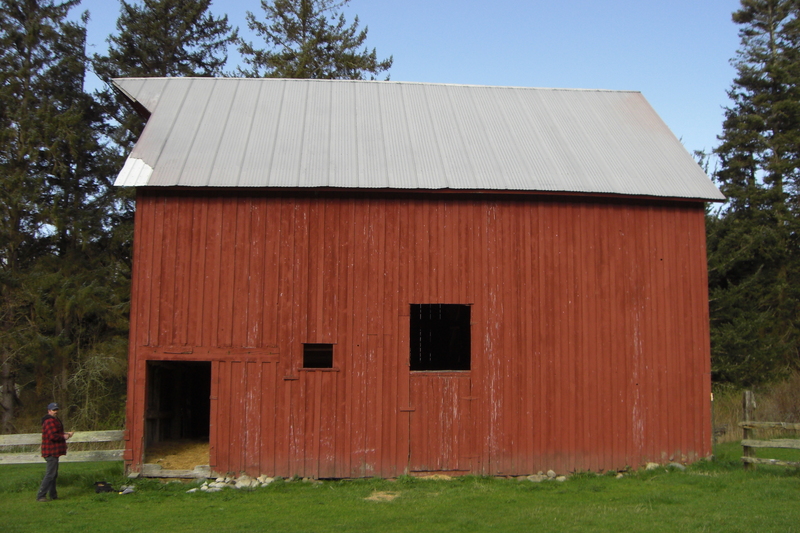 Established in 2007, the Initiative created the Heritage Barn Register and at present there are nearly 600 barns statewide designated as official Heritage Barns.